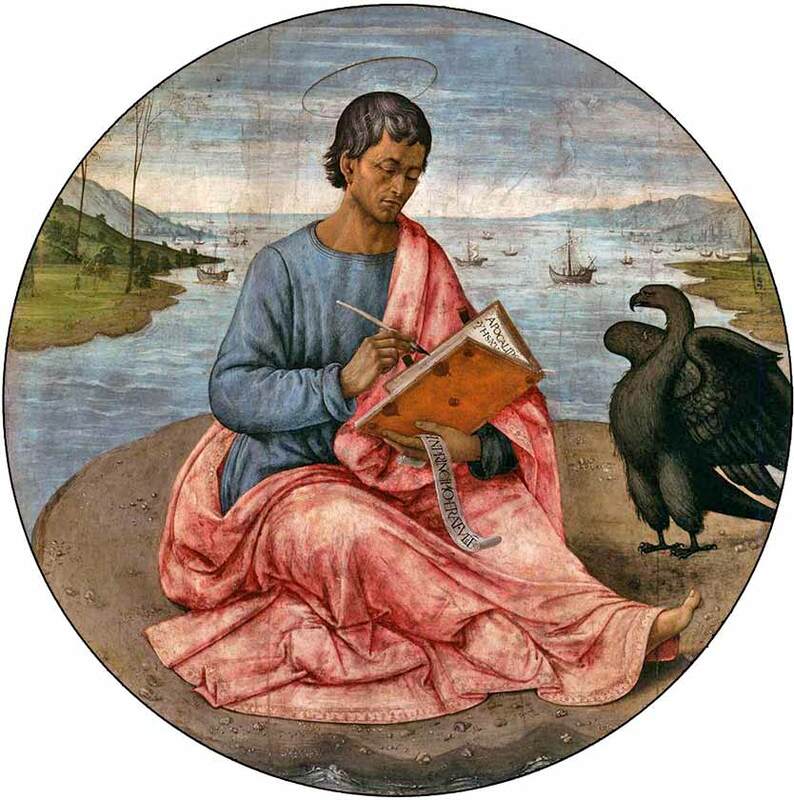 St. John the Evangelist on the Isle of Patmos, by Domenico Ghirlandaio, ca. 1480. 420 people in our community are currently praying with you. Help me to follow you in every way. Let me help others, as you help them, too. Help me to grow, yet still stay the same. Give all - not just part. Bless all of my foes, help me make amends. Me give warm attention, and see all needs are met. Help me not to be lazy, but find needed rest. Often to thank you, often to pray. 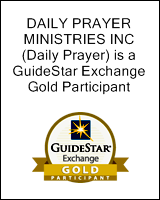 he Gospels of Matthew, Mark and Luke are all somewhat similar. Most scholars believe that they were all written from a single fundamental text, either the Gospel of Mark itself, or a written document called the “Q document” which Mark, Luke and Matthew all read. These three gospels are called the “Synoptic” Gospels; “synoptic” is a Greek word (from which we get “synopsis”) and, in this context, means that they all present a similar view. Anyway, the three of them have a lot of overlap; most of which you find in Mark, for example, you will also find in Luke. John is very different from the Synoptic Gospels, however, in two respects. First off, it describes a lot of events that the other three do not; and by the same token, it is missing a lot of events that are told in one of more of the others. Secondly, the Synoptic Gospels tend to concentrate on recounting events in a more concrete fashion. They are full of descriptions of what was seen, including the teachings and parables of Jesus. John is more poetic and philosophical; it often describes events in a more cosmological sense. To illustrate what this means, consider how Luke and John begin. Both of them start with the birth of Christ. But Luke (and Matthew) tell us about Mary, Joseph, a baby being born in a stable in Bethlehem, wise men, angels, etc. — they tell us the story of Christmas. John, on the other hand, tells of Christ’s coming to earth by describing a supernatural being called “the Word” who existed from the beginning of time. All four gospels are equally important and are the Word of God. But since we read the entirety of Matthew about two years ago, John is a logical choice for the second Gospel to read in full, because it is the most different from Matthew. It is also interesting to speculate on how much of the actual writing John did. He was almost surely illiterate at the time of Christ. He was a fisherman, a blue collar worker at a time when only a small educated elite could read and write. He spoke Aramaic. 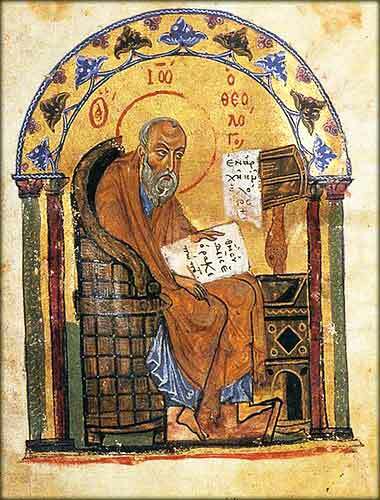 Possibly, he knew some Hebrew from religious study, but it was unlikely that he knew any Greek at all, or at most, a few words. Did he learn to read and write such elegant Greek in the decades following Jesus’ crucifixion? Possibly so, but possibly not. We might be hearing the voice of an unnamed saint in John, a person (like Luke) of high education and eloquence, to whom John gave the content of the Gospel to be written.